It was in 1994, in the seminal ACTG 076 study, that researchers proved beyond the shadow of a doubt that the use of a single antiretroviral drug (AZT) during and after pregnancy could reduce the risk of HIV transmission from mother to child by an astonishing 67 percent. In recent years, with the intervention of antiretroviral therapy (ART), that figure is now closer to 98 percent. Today, the prevention of mother-to-child transmission (also known as vertical transmission) encompasses all stages of pregnancy, from antenatal to postnatal care. Key to its success is early intervention. By administering ART over a longer period of time in advance of delivery—rather than at the time of delivery—mothers have a far greater chance of suppressing HIV to undetectable levels, thereby minimizing the risk of transmission. The antenatal guidelines for ART are essentially the same for pregnant women with HIV as they are for those who are not pregnant, with a few modifications based on concerns about certain antiretroviral medications. For women not previously on therapy, the U.S. Department of Health and Human Services (DHHS) recommends the use of Retrovir (AZT, zidovudine) plus Epivir (3TC, lamivudine) as the backbone of first-line ART. This is because nucleoside reverse transcriptase inhibitors (NRTIs) like Retrovir are shown to better penetrate the placental barrier, providing the unborn baby greater protection from HIV. 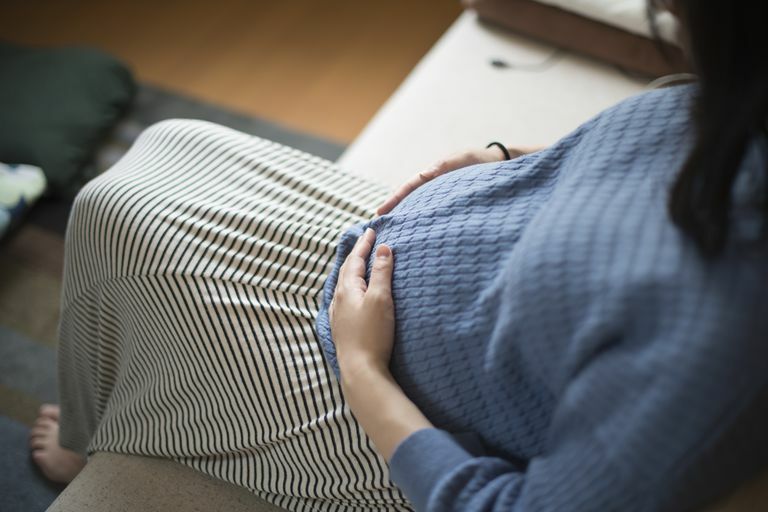 The guidelines currently do not recommend the use of Sustiva (efavirenz) or Sustiva-based drugs like Atripla during pregnancy, although this is largely considered a precautionary measure. While early animal studies had shown in a high rate of Sustiva-related birth defects, the same has not been seen in humans. If pregnancy is confirmed for a woman already on Sustiva, it is advised that the drug is changed only within the first five to six weeks of conception. After that, a change is not considered necessary. Viramune (nevirapine) should not be used in women with a CD4 count over 250 cells/μL due to the increased risk of potentially life-threatening hepatotoxicity. Intelence (etravirine), Edurant (rilpivirine), Aptivus (tipranavir), Selzentry (maraviroc), Lexiva (fosamprenavir) and Fuzeon (enfuvirtide) are not currently recommended due to insufficient data on their safety and effectiveness. Viracept (nelfinavir) and Crixivan (indinavir) are not recommended due to suboptimal serum levels achieved during pregnancy unless no other options are available. At the onset of labor, women on antenatal ART should continue taking their medication on schedule for as long as possible. However, if a woman who presents at the time of labor, who is confirmed HIV-positive but has either not received antenatal antiretroviral therapy OR has a viral load greater than 400 copies/μL, intravenous zidovudine would be administered continuously throughout the course of labor. According to the U.S. Centers for Disease Control and Prevention (CDC), approximately 30 percent of women in the U.S. are not tested for HIV during pregnancy. Additionally, 15 percent of those infected with HIV receive either no or minimal antenatal care, while 20 percent do not initiate care until late in the third trimester. In the absence of antiretroviral treatment, the risk of vertical transmission is estimated to be between 25 percent and 30 percent. Evidence has shown that a scheduled cesarean section poses a far lower risk for transmission than a vaginal delivery. By performing a cesarean before the onset of labor (and the rupture of amniotic membranes), the newborn is less likely to be infected—particularly in cases where the mother has been unable to achieve viral suppression. has a viral load greater than 1,000 copies/μL at 36 weeks of pregnancy. By contrast, a vaginal delivery can be performed for mothers who have achieved an undetectable viral load at 36 weeks of pregnancy. The risk of transmission for these mothers is generally less than 1 percent. In the event that a woman presents after the rupture of membranes and with a viral load greater than 1,000 copies/μL, intravenous zidovudine is generally administered, sometimes with the use of oxytocin to expedite delivery. Upon delivery, Retrovir syrup should be administered to the newborn within six to 12 hours of birth, continuing thereafter every 12 hours for the next six weeks. The dosage will be continually adjusted as the infant grows. An oral Viramune suspension may be also prescribed in the event the mother had not received ART during the course of her pregnancy. A qualitative HIV PCR test should then be scheduled for the infant at 14-21 days, one to two months, and four to six months of age. The qualitative PCR tests for the presence of HIV in the infant's blood as opposed to the standard ELISA, which tests for HIV antibodies. Since antibodies are largely "inherited" from the mother, their presence cannot determine whether an infection has occurred in the baby. If the infant tests negative at one to two months, a second PCR would be performed at least a month later. A second negative result would serve as confirmation that an infection has not incurred. Conversely, an infant is only diagnosed with HIV after two positive PCR tests are received. In the event the child is HIV-positive, ART would be immediately prescribed along with a Bactrim prophylaxis (used to prevent the development of PCP pneumonia). To Breastfeed or Not Breastfeed? While research into the use of antiretrovirals during postpartum breastfeeding is limited, a number of studies in Africa have shown transmission rates of anywhere between 2.8 percent to 5.9 percent after six months of breastfeeding. The pre-chewing (or pre-mastication) of food for infants is also not recommended for HIV-positive parents or caretakers. While there have been only a handful of confirmed cases of transmission by pre-mastication, there exists a potential due to the bleeding gums and sores that can arise from poor dental hygiene, as well as cuts and abrasions that occur during teething. Connor, E.; Sperling, R.; Gelber, R.; et al. "Reduction of Maternal-Infant Transmission of Human Immunodeficiency Virus Type 1 With Zidovudine Treatment. Pediatric AIDS Clinical Trials Group Protocol 076 Study Group." New England Journal of Medicine. November 3, 1994; 331(18):1173-1180. Dominquez, K.; Rakhmanina, N.; Juliano, A." et al. "Premastication as a Route of Pediatric HIV Transmission: Case-Control and Cross-Sectional Investigations. "Journal of Acquired Immune Deficiency Syndrome.February 12, 2012; 59(2):207-212. Read, J. and Newell, M. "Efficacy and Safety of Cesarean Delivery for Prevention of Mother-To-Child Transmission of HIV-1 (Review)." Cochrane Database of Systematic Reviews. October 9, 2005; (4):CD005479. U.S. Centers for Disease Control and Prevention (CDC). "HIV Among Pregnant Women, Infants, and Children. "Atlanta, Georgia. U.S. Department of Health and Human Services (DHHS). "Recommendations for Use of Antiretroviral Drugs in Pregnant HIV-1-Infected Women for Maternal Health and Interventions to Reduce Perinatal HIV Transmission in the United States." Rockville, Maryland. Update issued May 21, 2013. Can I Breastfeed My Baby If I Have HIV? Are Lesbians Really Safe From an HIV Transmission?